A collar with ZIP, very warm and soft scarf. 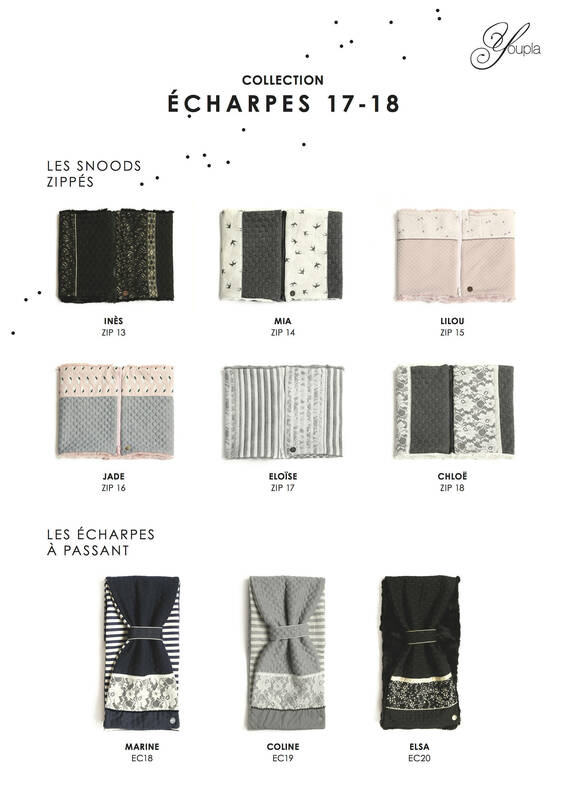 The ZIP model is a clever concept that allows to wear the scarf in various ways. This zipper at the end of the scarf helps to close ring: the scarf turns into a snood. 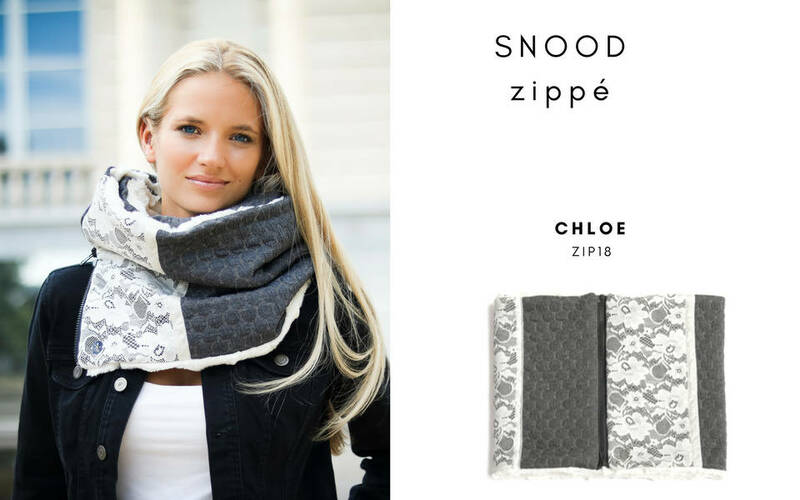 Model CHLOE: Scarf glittery grey sweat and white lace, lined with white synthetic fur. Care: wash cold. No dryer. Our scarves are of high quality, entirely imagined, designed and made with a smile in Belgium. Each collar is made in limited edition.